I’ve spent more time sitting lately which gives me the excuse I’ve been looking for to crack open the Delicas and tackle geometric seed beading for the first time. A year of ignoring pain will give you a nasty case of tendonitis. And while I may never run another marathon, I never ran one before I donned the knee brace and that’s something. My friend Ellen gave me a copy of Jean Power’s Geometric Beadwork, Volume 2. I had already salivated over Beading Yoda’s geometric beadwork interpretations and was ready to try some of my own. I bought the last copy of Kate McKinnon’s Contemporary Geometric Beadwork Vol.1 at Blue Santa Beads. I had already watched most of the videos from Kate McKinnon’s Contemporary Geometric Beadwork channel on YouTube, but reading the book helped make them crystal clear. This small pagoda bracelet was fun to make. 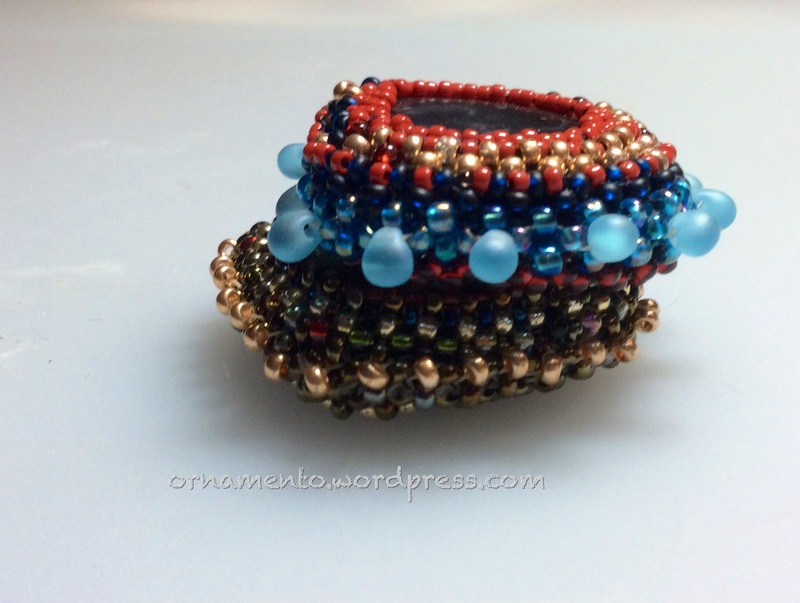 I like the idea of adding bead increases to a simple peyote stitch and watching the beads take on a sculptural shape. The zigzag motif is a bit more challenging if only because of the sizing issue. How many beads to string to make a bracelet to fit your wrist? McKinnon suggests that if you make something the wrong size, you can try tailoring it into a new design which is what I did here. I love McKinnon’s books AND Power’s books. You need all of them because if McKinnon does not answer a question, Power will and vice versa. 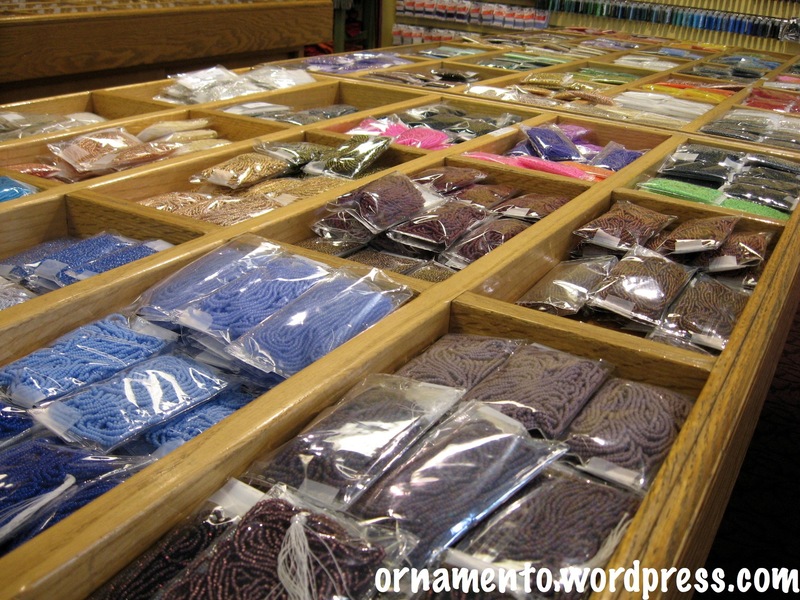 And there is plenty of free information on YouTube and the Contemporary Geometric Beadwork Blog. And I made myself two bead-on-it boards! I looked all over for instructions. There is a tutorial on YouTube that uses hot glue. I tried it and could not for the life of me make a board that did not look like a piece of, well you know what. Lumpy and sloppy. Who wants to bead on something like that? Then I found the video I link to below. I resisted watching it at first because it is more than two hours long. But it’s so long because the makers show the assembly of one of their boards from beginning to end-every nail driven and every staple stapled (including the ones they pull out and do over). 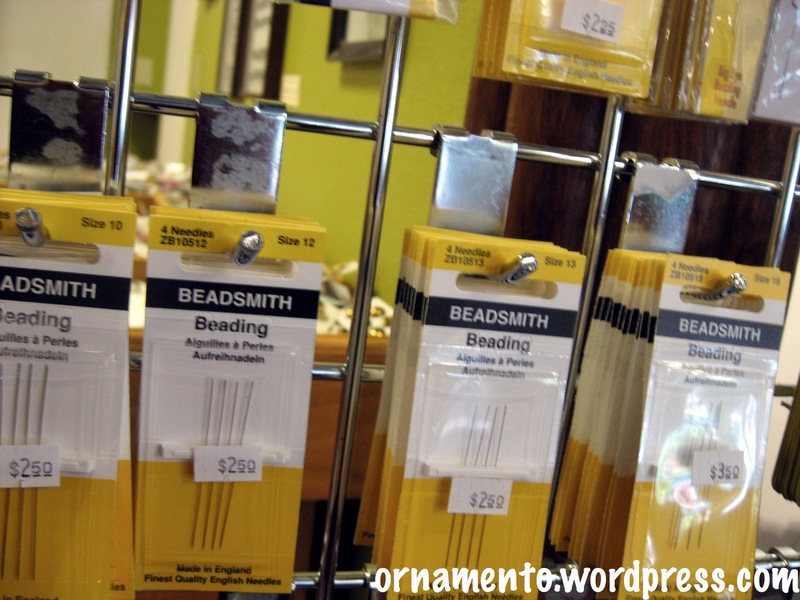 But you can fast forward through all of that and learn how to make yourself a nice beading surface. I dropped in on my friend and neighbor Jeri Schatz (AKA Beading Yoda) to show her the rings I have been making and to get some tips and constructive criticism. (Jeri studied goldsmithing at the Kulicke-Stark Academy in New York and served an apprenticeship there before she moved to Philadelphia and began beading.) After we were finished, I asked her t what she was working on, and she took down to beading central so I could see for myself. A geometric bracelet that moves wonderfully when you wear it. More bracelets with Super Duo beads, triangles, bars and seed beads. 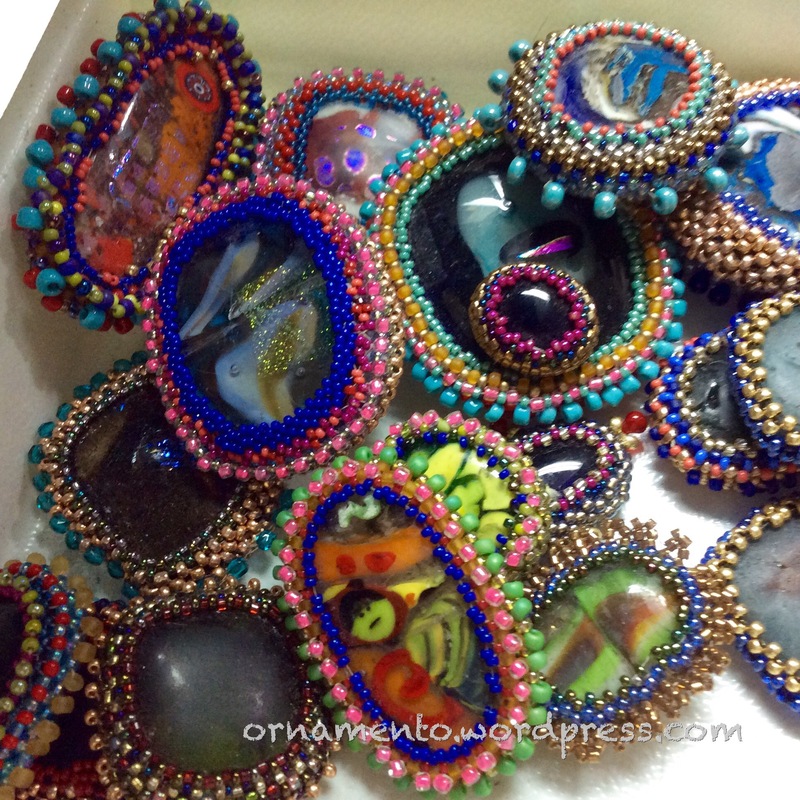 Art, beadingArt, beaded bezels, beading, fused glass2 Comments on Beaded Bezel Frenzy!!!!! 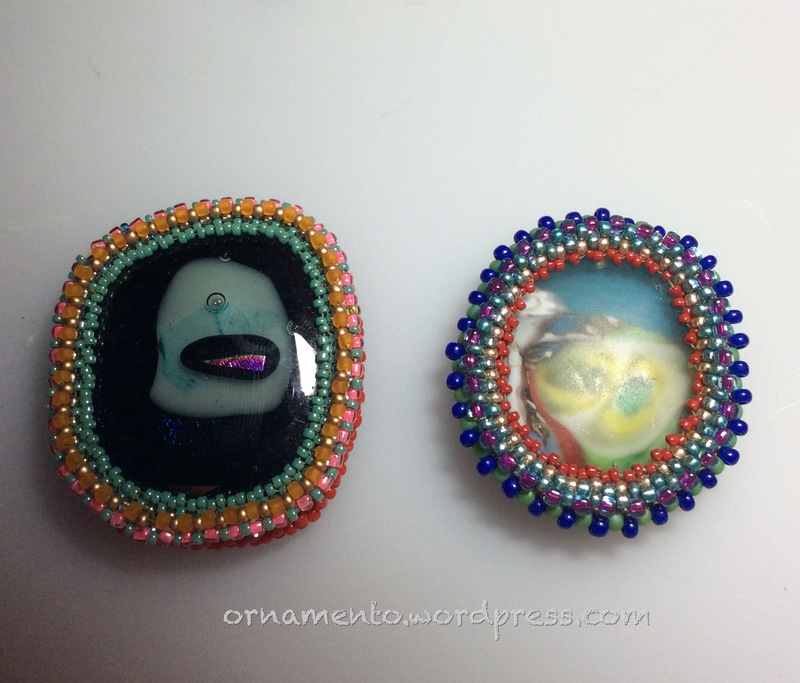 You might or might not remember my previous posts on fusing glass cabochons using ugly beads and scraps. So what do you do with all those tasty glass baubles? 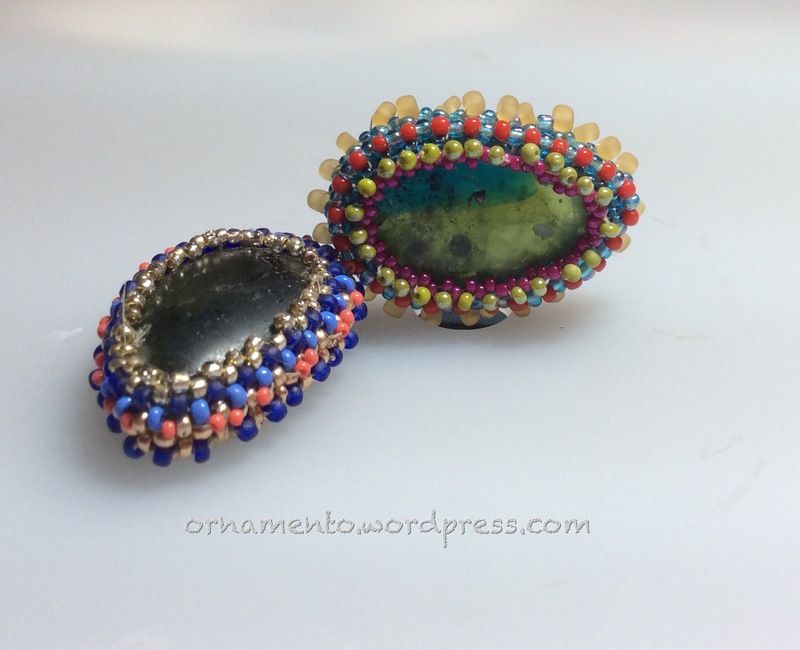 One thing you can do it surround them with beaded bezels. And since every cabochon is different, every bezel has to be different right? I used right angle weave stitch along with peyote, some netting and some herringbone. 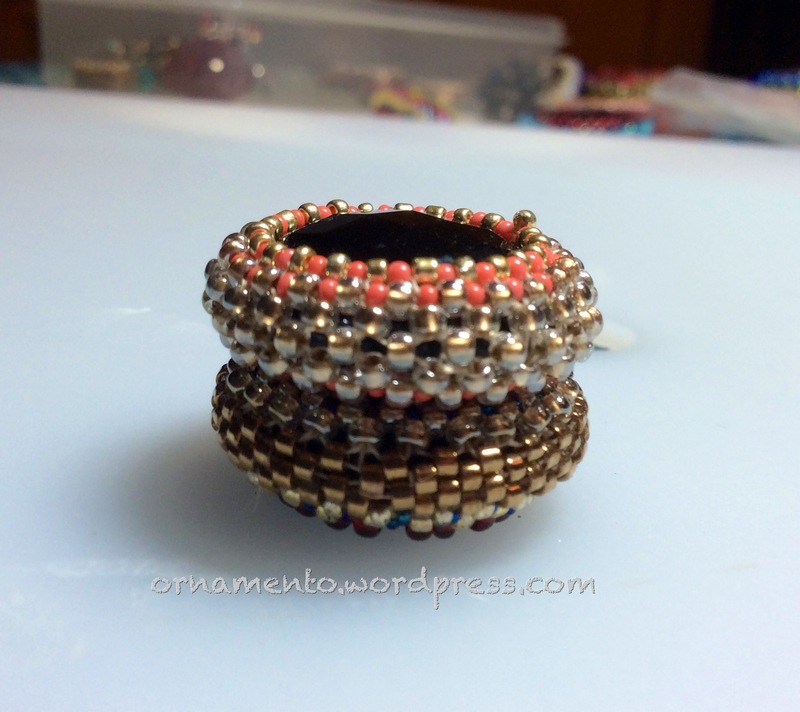 I used Delicas and Japanese and Czech seed beads seed beads in sizes 0/15 to 0/6. I had a lot of fun with the beaded drops. I kept adding beads until I liked what I saw. I didn’t use any patterns. 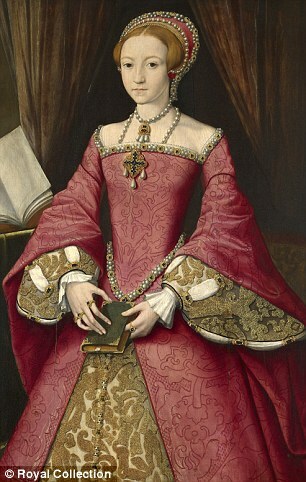 This one is fit for a queen! 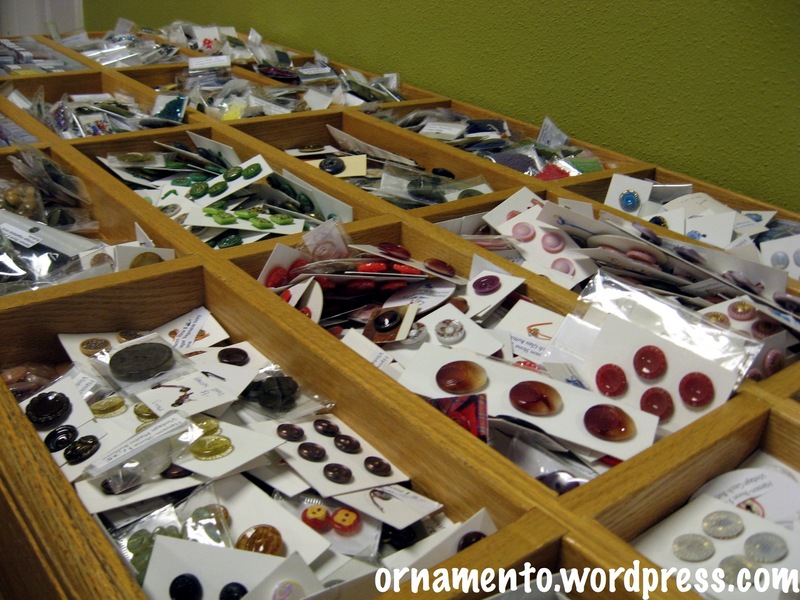 While I didn’t bead a bezel for every cabochon I had fused, I have an awful lot of these babies. They are now cozying up to one another on my beading table until I decide what do do with them. Which is got I got into this mess in the first place! 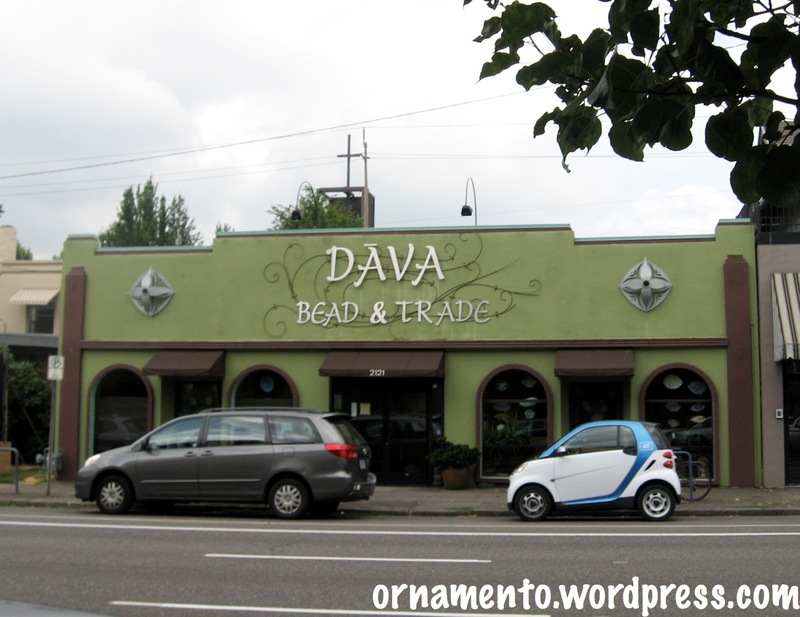 Stores like Dava Beads in Portland Oregon are hard to find these days. 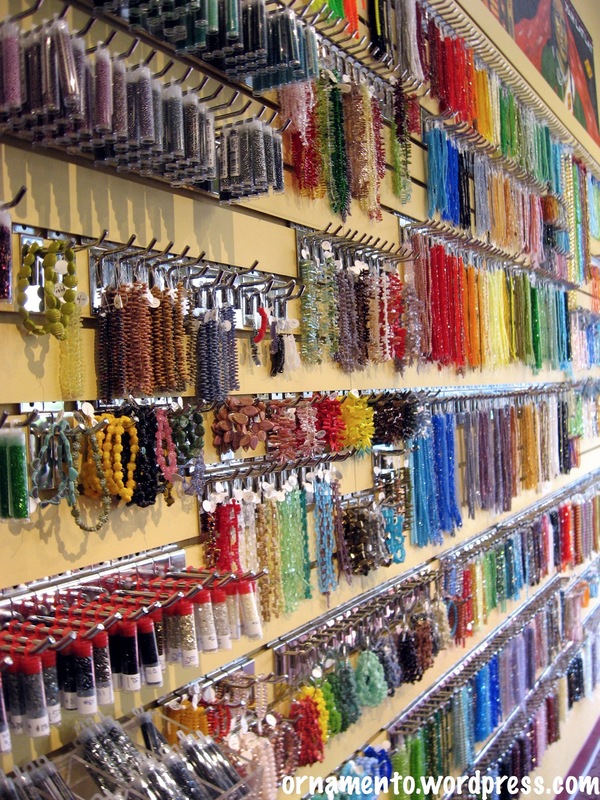 It’s a full service, generously-stocked bead shop. 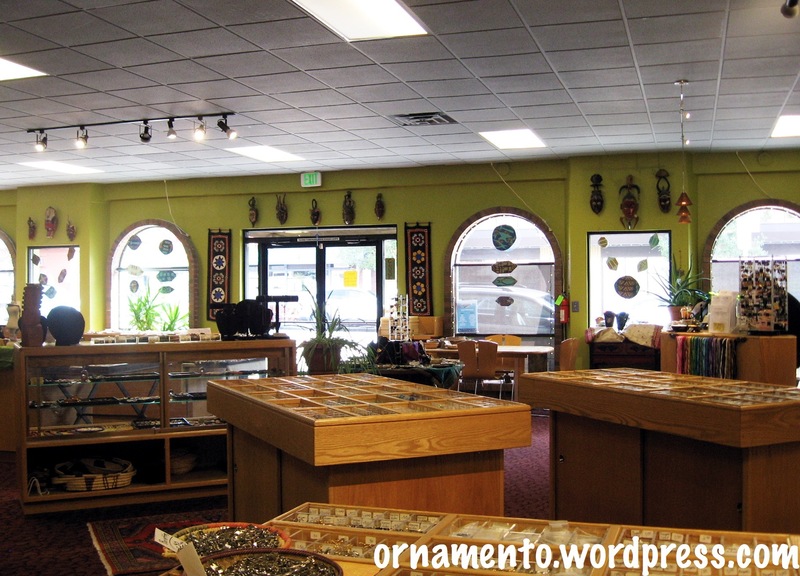 Sunny and inviting and scads of beads- something for every one and every budget. And classes and books and magazines and a friendly knowledgeable staff. What more could you want? Classes? They have those. A few good restaurants within walking distance? They have those too. And antique and vintage buttons. I’m sure that the stock has changed since the last time I was there. All the better! Portland is a great city for walking, dining and bookstores! And Dava Beads. I have been experimenting with cross weaving which is sometimes referred to as two needle right angle weave. It definitely uses a different set of “head muscles” than single needle RAW, but it’s not that difficult to learn. Below are some examples of beads that I discovered by accident while trying to do something else. 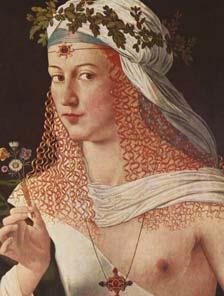 My beads are not new discoveries; I have since found other examples of them on the Internet. Triangle weave is not right angle weave strictly speaking because the beads are not pointing at right angles, but it lends itself to a great deal of possibilities depending on the size and shape of the beads you use, how long you keep repeating the pattern, and the manner in which you repeat the pattern. You can also weave a pattern similar similar to hexagon angle weave that to my eyes resembles more of a star pattern than regular hexagon weave. 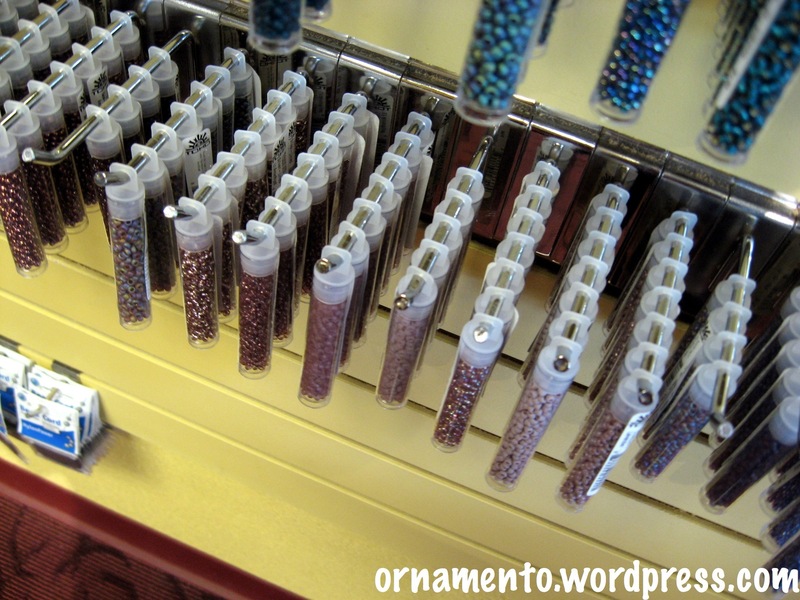 Then again, these are more likely the same patterns but they look different to me depending on whether I use oval-shaped beads or round beads. 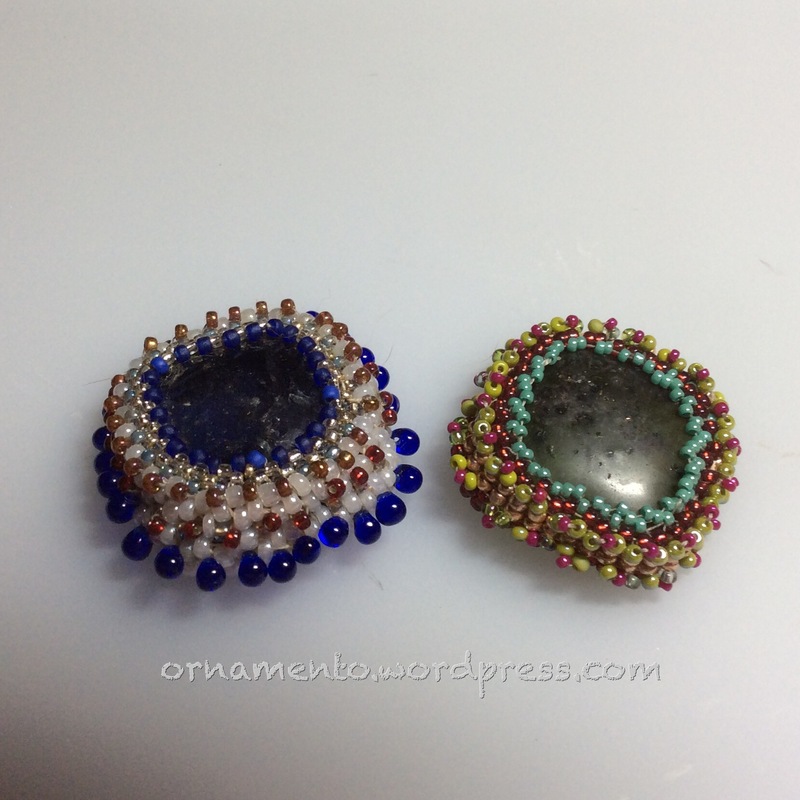 The two beaded beads below are extremely simple to make. 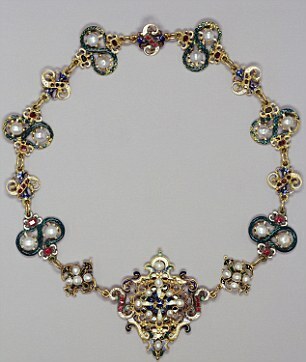 The one you see here is made from six beads. This bead is made from nine beads and I have added some seed bead accents. 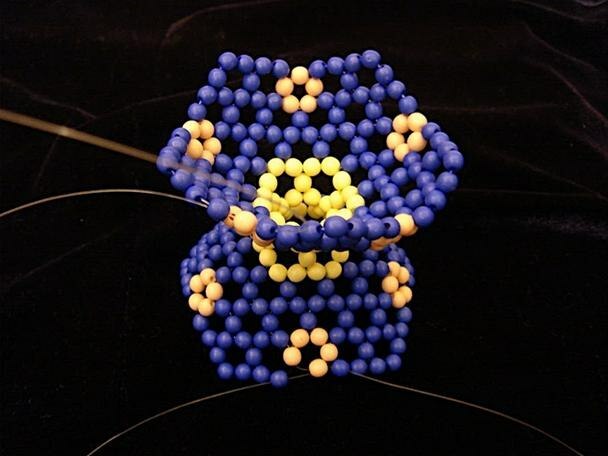 The 12 bead beaded cube is the easiest one of all to make. Here is a good video tute to get you started. Give these beads a try if you are interested in learning some of the more complex bead cross weaving. 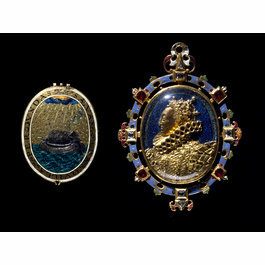 Years ago, I took a beading class with a woman named Alois Powers called “Elizabethan Beads.” Powers had designed some very stunning self-supported beaded beads made up of seed beads and crystals and she was an excellent teacher as I recall. 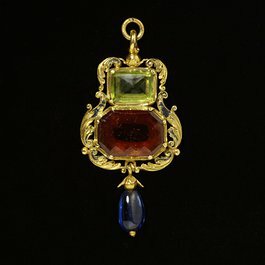 Here are some pictures of what I made in the class and afterward. And thus my frenzy for beaded beads was born. I still have all of my class materials, made some more beads and have worked out some of my own designs which Powers encouraged her students to do. 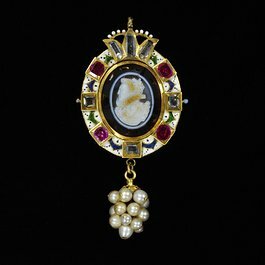 Obviously, I cannot share any of the patterns.Fortunately the Internet abounds with information and ideas for making these jeweled treasures. 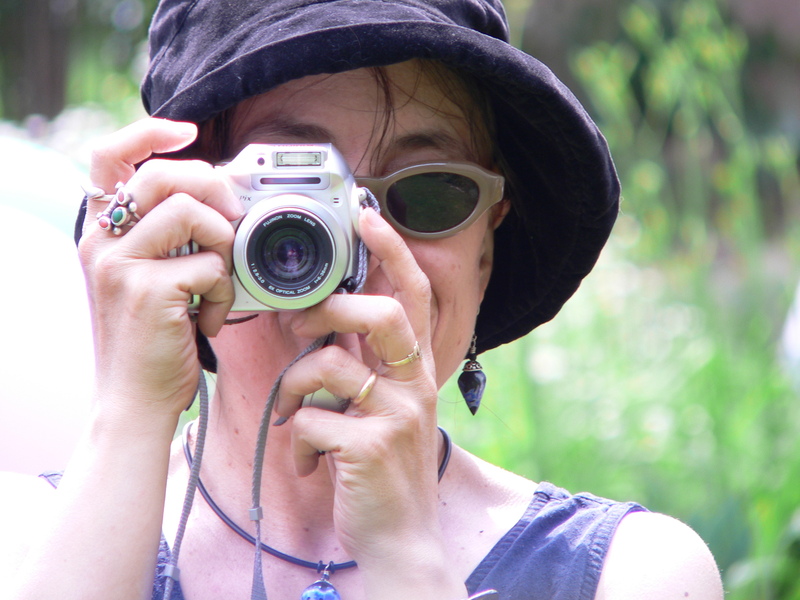 Sidonia Petki’s channel on YouTube is a fabulous resource. Sidonia also sells tutorials on her Etsy Site. 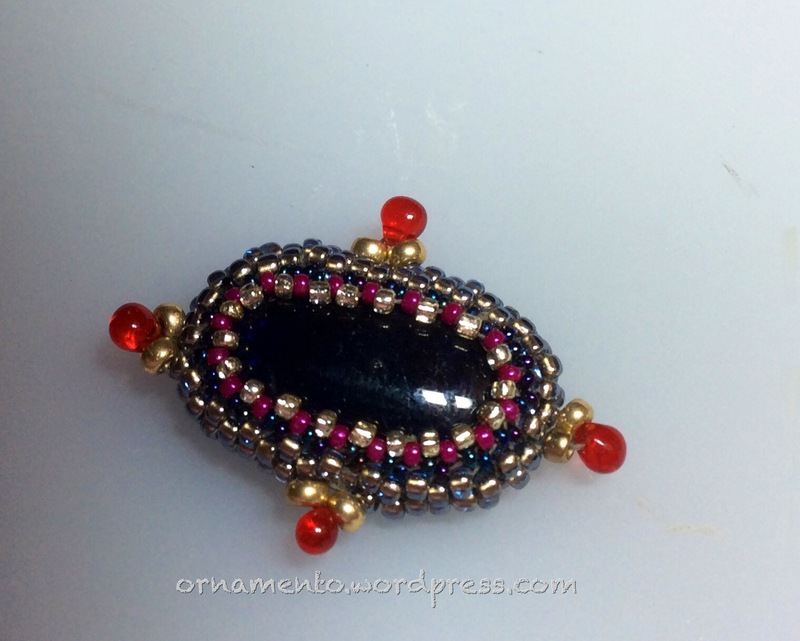 Here is my favorite (so far) Sidonia beading tutorial video.